I loved how easy and delicious this dip was. Seriously. It took me minutes to dump all of this together. And I took the recipe and made it a little better for you. Because we are all still trying to watch what we eat right? Even though the super bowl is coming up and we all like to have delicious food while we watch the game. This is such an easy and delicious appetizer to bring to any party! Review: I decided to use bleu cheese dressing but I think I am more of a ranch kind of girl. I think that the next time that I make this I will use ranch but still put the bleu cheese crumbles throughout. 1. Place cream cheese first into the bowl. Stir that until it is smooth. 3. Bake at 350 for about 20 minutes or until heated through. Or Warm in the microwave about 2-5 minutes until heated through. This sounds great and I will have to try it soon, maybe for the Super Bowl party! I’m a new follower and like your blog. Thanks for the recipe! I just saw this on Pinterest! 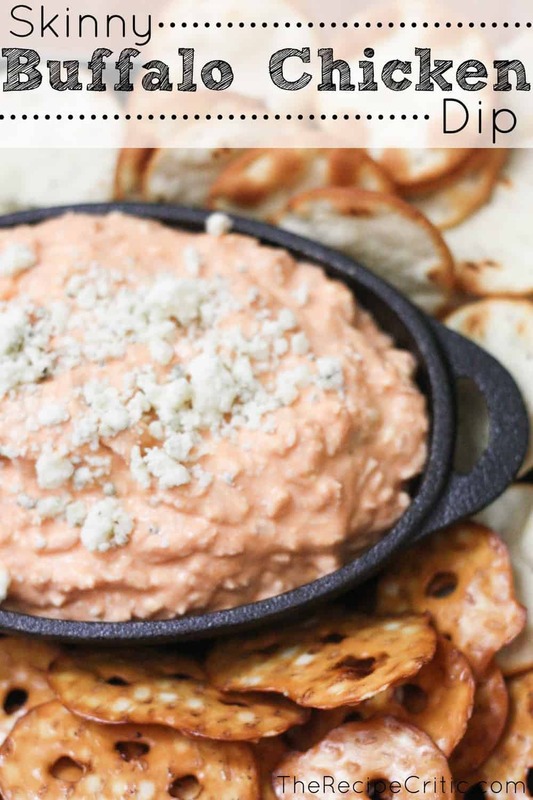 My friend makes a dip like this, but I am pretty darn excited to try this SKINNY version! Thanks! I have made a similar recipe. I found the best buffalo hot wing sauce it is Saucy Mama Hot Wing Sauce. I marinade the chicken in the sauce the night before and bake it in the sauce. Then chop it up. Its been my most favorite party dip ever.